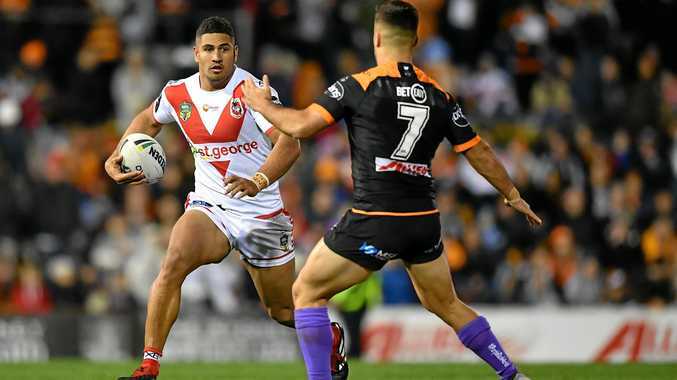 ST GEORGE Illawarra winger Nene Macdonald can see why Brisbane counterpart Corey Oates is so keen on a move to the second row - and may even want to join him there. Two of the game's most athletic finishers, and best wingers to come out of Queensland, will go head-to-head when the Broncos host the Dragons in an NRL elimination final on Sunday. It won't be the first time the pair will meet in a sudden-death finals match, with Oates' Broncos knocking out Gold Coast in Macdonald's sole finals appearance in 2016. 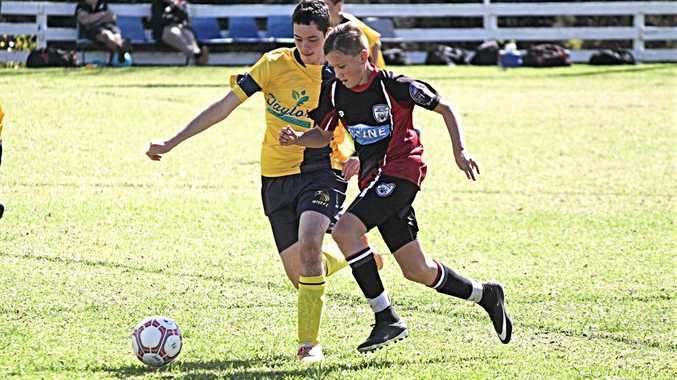 The duo were former Queensland teammates during an under-16s State of Origin match, when Oates came off the bench as a forward while Macdonald locked down a wing spot. "We came through the Maroons together - we became good mates," Macdonald told AAP. "He was a back-rower then, and proved he can play anywhere. It's whatever he wants to do. He's killing it on the wing and if that's his passion, I'll back him all the way. "I'm telling you, he's that good, he can play anywhere he wants." Macdonald, who is able to negotiate with rival clubs when he enters the final year of his current contract in November, is even considering joining him. Like Oates, the Dragons winger has enjoyed arguably his best season of his career this year, matching his career-high 10 tries while busting through 66 tackles. He is also averaging 137m per game. But the 23-year-old, who has been linked with North Queensland, is open to a forwards shift. "I wouldn't mind going into the second row one day, but I'll stick on the wing for now," he said. "I've watched a lot of the really good wingers in our game - guys like 'The Fox' (Josh Addo-Carr), Suliasi Vunivalu, Jordan Rapana, Kyle Feldt and (David) Fusitu'a. "I love watching them play and I'm just trying to compete with them right now." The Dragons face the Broncos at Suncorp Stadium, with the winner to advance to a semi-final against South Sydney next week.